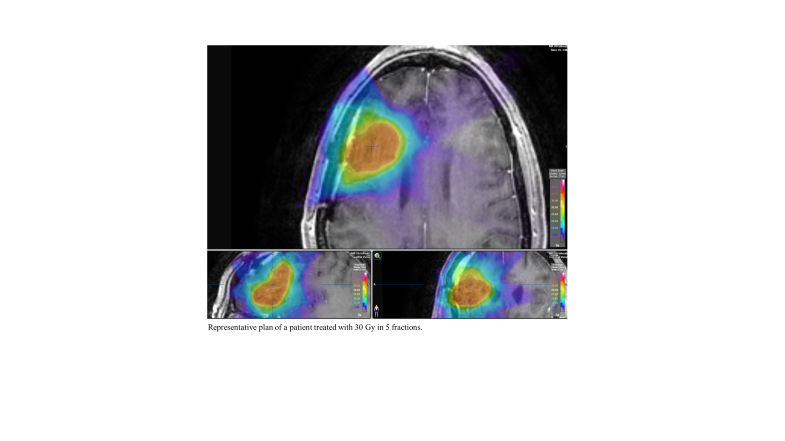 Stereotactic radiosurgery is increasingly used in patients with limited brain metastases and good baseline performance to avoid the toxicities of whole brain radiotherapy (WBRT). Patients with resected brain metastases are undergoing cavity-directed radiosurgery, withholding WBRT. Multiple institutions have published concerning incidences of leptomeningeal disease (LMD) when using this approach. We assess the risk of LMD in patients treated with this approach and identify risk factors for developing LMD. We identified 58 patients treated at our institution with cavity-directed SRS without WBRT for brain metastases between 2009 and 2015. Fifty-one (87.9%) had adequate follow-up for analysis, and 50 were treated to 30 Gy in 5 fractions to the resection cavity and are analyzed here. 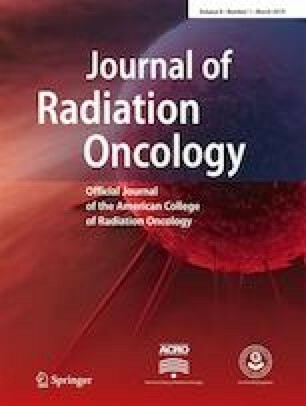 Patient demographics, tumor characteristics, and clinical outcomes were evaluated. With a median follow-up of 12.9 months (range, 1.9–63.2), the 1-year and 2-year incidences of LMD were 20 and 24%, respectively. The median time from SRS to the development of LMD was 6.0 months (range, 0.7–14.5). On multivariate analysis, ventricle violation during surgery (HR = 7.1, P = .030) and number of metastases (HR = 1.9, P = .034) were associated with an increased risk of LMD. One-year and 2-year leptomeningeal failure-free survival was 76 and 64%, and 1-year and 2-year survival of the entire cohort was 56 and 32%, respectively. LMD incidence is relatively high in patients receiving postoperative cavity-directed SRS. Ventricular violation during surgery causes a significantly higher risk of LMD, and consideration of WBRT, greater SRS target volumes, or preoperative treatment in these patients may be warranted. The online version of this article ( https://doi.org/10.1007/s13566-018-0368-1) contains supplementary material, which is available to authorized users. The authors would like to thank Roman Jandarov PhD, Eric Wolf MS, and Brian McGill MS.
IRB approval was obtained. This article does not contain any studies with human participants or animals performed by any of the authors.